Patchy Work of Mini Grey: A Rainbow for a Baby. A Rainbow for a Baby. I finished this quilt on the weekend. 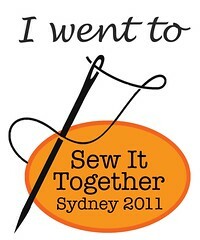 It's one of the ones I made on the recent quilting retreat. I'm happy with the pebble quilting. Just a row of pebbles but I rotated them in the three blocks. Great quilt, lovely colours. I like your choice of quilting design, really enhances your quilt. It's fabulous, I love the pebble quilting. such a lovely quilt! I love the way you've done the single row of quilting in each block. It's a beautiful quilt and it's PERFECT photographed on the side of your house. It is a really lovely quilt and will be so bright and cheerful for a baby to use. 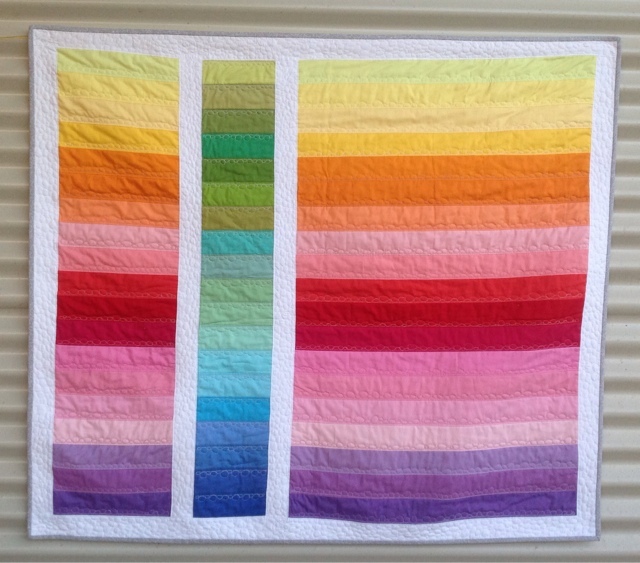 A very cute quilt - lucky baby and parents! Rainbows do look stunning.